We all love to be pampered in high-end salons with pricey haircuts and luxurious beauty treatments. However, it’s not always financially feasible. If you are on a tight budget or just need a trim, you don’t need to shell out the big bucks for a cut. Instead try one of these simple way to save money on your haircut. Because the stylists aren’t licensed yet, you can get a fabulous haircut at a discount price from your local beauty school. Don’t worry, instructors are standing by to avoid any major hair catastrophes. Most top salons offer opportunities to become a hair model. If you are willing to let the stylist cut your hair in fun, trend-setting styles, contact local salons and inquire about how to volunteer. Those junk mailers that come in mail normally have coupons to local salons. If you aren’t particular about where you get your hair cut, try out one of these bargain choices. 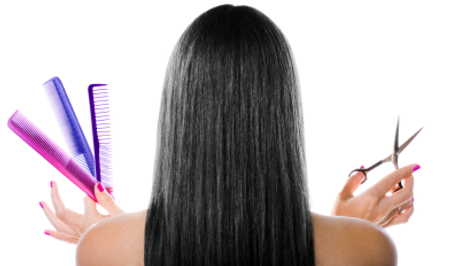 When a new salon opens up, they normally offer discounted prices to new clients. Keep your eyes peeled for new salons popping up in your neighborhood. Do you usually go to a salon where they call you by name and you talk to your stylist like an old friend? Well, if money’s tight, how about you swap every other haircut (or more if you can) for a visit to a smaller local salon or a chain like SuperCuts, Great Clips or Fantastic Sam’s? If you just need to trim your bangs or clip off split ends, you can do it yourself at home. Here are some quick tips on how to cut your cut your own bangs from New York hair stylist Ted Gibson. Finally, consider waiting a little longer between cuts. For example, if you normally go to the salon every 6 weeks, try for 8 weeks next time.